A messy make up can quickly become a nightmare to a woman. But whatever your background is, make up smudges are inevitable. When you go shopping, and you try on shirts at the store, those brown streaks might get smeared on your collar. When you take off your sweater, your make up might get rubbed on your face. Foundations can also melt off, especially because of the summer heat. Other than that, you will never know what the day holds for you. You might have been preparing for a dinner party, but someone else plans to give you tear jerking moment (such as a wedding proposal) that’ll undoubtedly evoke emotions from you and dampen your carefully prepared face. It will be easier for your foundation to stick on your face if your skin is properly hydrated. A well moisturized skin is always good for makeup application. An oil-free moisturizer can help you significantly when it comes to fighting foundation smudges. This is especially true during the summer months when the heat and the humidity make you perspire and retain oil. Avoid applying foundation immediately over an emollient face cream to prevent smudges. Don’t ever skip the primer, which acts as an invisible layer that serves as a buffer against outside elements. An excellent primer prevents makeup smudges caused by the natural oils that are on your skin. You can use BB or CC cream, which has primers built right in to them. These creams also have moisturizing abilities. This means they smear less. Putting primer should be a priority in your everyday skin care routine. The primer will keep your makeup foundation in place, as well as your lashes and lips. Powders are important in keeping things in place. The colors you have put on are less likely to change with the help of powders. The powder absorbs the natural oil on your skin, which contributes to fewer makeup smudges. Since powder absorbs moisture, it helps keep your makeup intact for a longer period. If you have dry skin, avoid powder. It will dehydrate your skin further and make you look terrible. 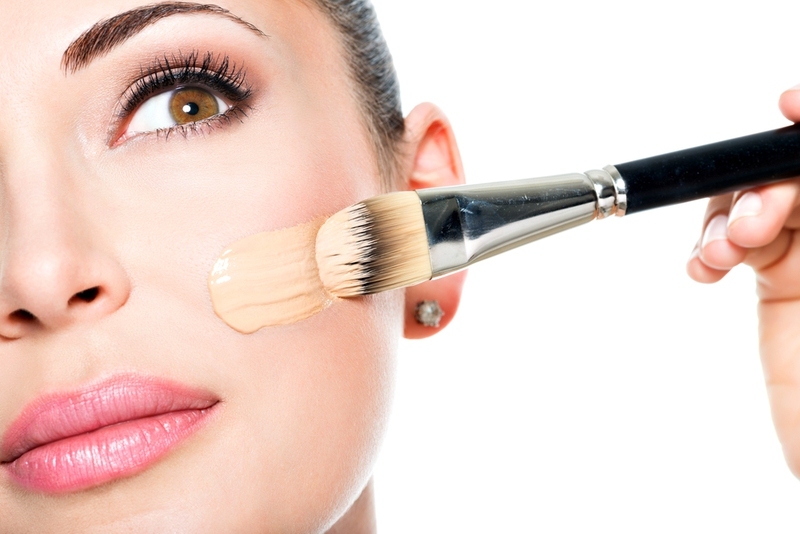 After the completion of your makeup, make sure you blend the powder to remove the traces of white on your face. You can also use stain products, which have the ability to stay in place longer without smudging. These types of products should be applied carefully so that they won’t spread to the wrong places. The polymer can conceal skin flaws. Use products with polymer, because most skin responds well to it. This allows your makeup to stick longer with fewer smudges. Check the label of the product you buy and choose the one with the polymer. What if your foundation got smudged and your clothing got tainted? You can wash it out using moisturizing-free dish detergent. This can effectively lift stains from your makeup. Foundation products are usually oil-based, which means putting water on the stain will only spread it further. Absorb excess oil using a paper towel, and then dab some dish soap on it. Leave the dish soap on the fabric for five minutes. Rinse the fabric with lukewarm water. These are some of the best ways to avoid and remove smudges. However, if smudges still occur, you should reconsider the products you are using. There are a lot of fake products on the market, and you might end up with one of them. Just because it’s cheap, doesn’t mean it’s the best. If you want the best working foundation, always choose to pay a little bit more. That’s because cheap or fake foundations don’t have the ingredients they promise to have, and they are not as effective as the original ones. You might wonder why smudges still occur. Be mindful of the wrong products.